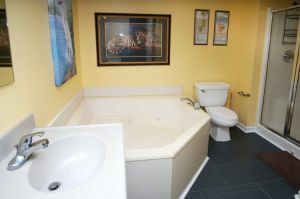 Luxurious furnishings at Ocean Bay Club 1604 include a large video library, a Jacuzzi tub and wireless Internet access. 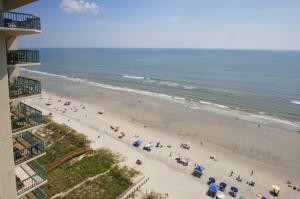 This spectacular vacation rental is spacious and most comfortable for a memorable North Myrtle Beach vacation. 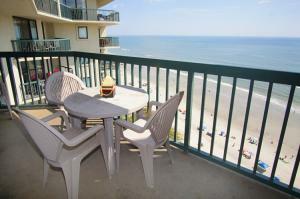 Ocean Bay Club 1604 is a four-bedroom oceanfront condominium in North Myrtle Beach, South Carolina that has three baths. 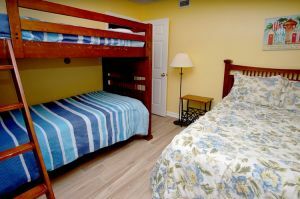 With the sleeper sofa in the living room, this North Myrtle Beach vacation rental sleeps 14 people so you can bring your golf buddies, extended family or friends with you to this South Carolina vacation destination. It is a prime spot for watching oceanfront sunrises. Enjoy the sea breezes and beachfront views from your private balcony. 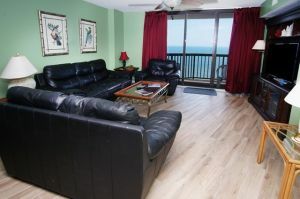 Take advantage of the fully furnished kitchen and make snacks and keep your drinks icy cold when you vacation at this oceanfront condominium. 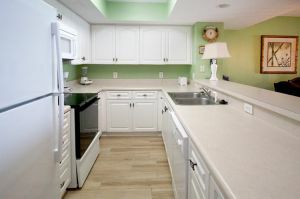 There is even a dishwasher in this North Myrtle Beach vacation rental. 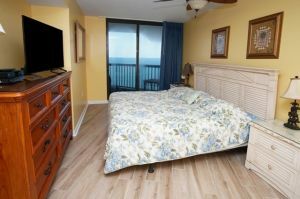 Ocean Bay Club 1604 has a washing machine and clothes dryer for your convenience. 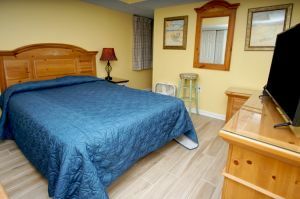 There is a television in each bedroom and four DVD players are scattered throughout this North Myrtle Beach vacation rental. Video rentals are available on site so you can have a quiet movie night in during your beach vacation. Ocean Bay Club Resort has a bright blue swimming pool and a hot tub. There is also a kiddie pool that the toddlers in your family will appreciate. The beaches are easily accessed from the pool deck so you can run out to the white sandy beaches and find seashells and build sand castles. 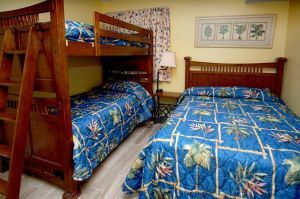 In close proximity to Ocean Bay Club 1604 are live entertainment theatres, water sports, amusement rides, Myrtle Beach golf, shopping and dining!